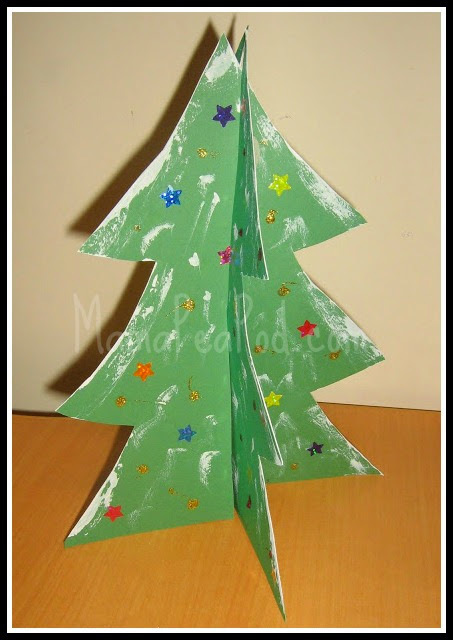 Every year for the past several years I've made these cute standing paper Christmas trees with my 1st grade students, but they'd also be suitable for preschool-aged children with just a little assistance/supervision. They also make cute child-made gifts for loved ones far away, as they can lie flat in an envelope and be easily assembled by the receiver. All you need is some green card stock, a piece of cardboard to make a template, some items to decorate with, and some white paint (optional). (I just drew one freehand, but if you like you could print one here). After they trace and cut out two trees from the green card stock, they need to fold them vertically down the middle, then open again (this is to help them find the middle; or you could just mark it for them with a ruler). Then they cut a slit in each tree along the fold - from the bottom up to about the middle on one tree, and from the top down to the middle on the other tree. 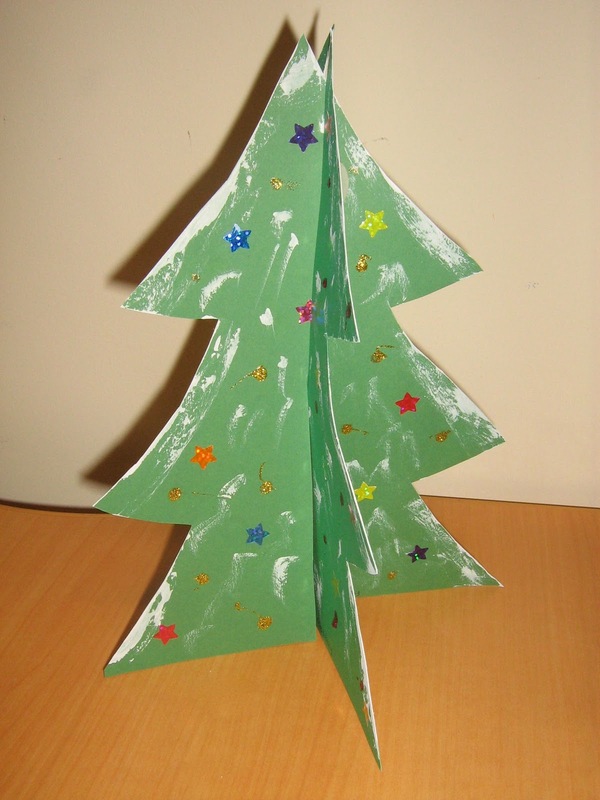 Then decorate (it's easier to decorate the two pieces separately, flat on the table - and remember to decorate the backs too). We used stickers, glitter gel pens, glitter paint, and white paint to decorate ours. Then reassemble - voila! 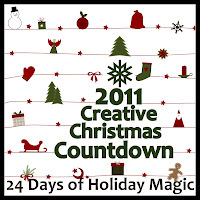 Check back on Thursday for our curly paper Christmas trees - our contribution to the Creative Christmas Countdown collaborative blogger advent calendar - they're absolutely beautiful and I'm so excited to share them on the 8th!